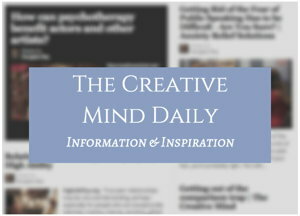 Psychologists such as Elaine Aron say creative people are likely to be highly sensitive – to have the personality trait of sensory processing sensitivity. A news article noted “People who are highly sensitive in this way tend to look and observe and process things deeply” – which can help artists pay attention to detail. One example is shown by the above watercolor. A profile on the artist notes that Ralph Goings “is a pioneer in the Photo Realist Movement. “In 1963 I wanted to start painting again but I decided I wasn’t going to do abstract pictures. It occurred to me that I should go as far to the opposite as I could. … It occurred to me that projecting and tracing the photograph instead of copying it freehand would be even more shocking. “To copy a photograph literally was considered a bad thing to do. It went against all of my art school training… some people were upset by what I was doing and said ‘it’s not art, it can’t possibly be art’. 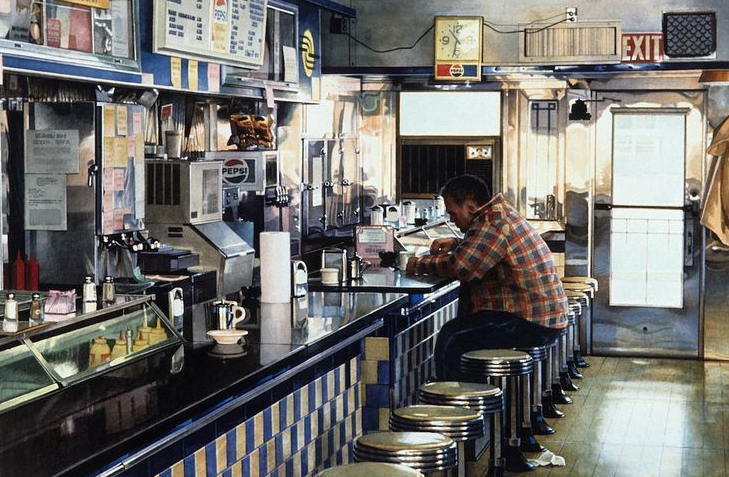 The image is Tom’s Diner, 1993, a watercolor by Ralph Goings – from the book Photorealism at the Millennium, by Louis K. Meisel, Linda Chase. “People who are highly sensitive in this way tend to look and observe and process things deeply, as opposed to boldly going ahead, says Elaine Aron, professor of psychology at Stony Brook University, who helped pioneer research on the subject in the 1990s. Better At Noticing Subtle Details.